Get ready for a Greek island experience like no other. As soon as you arrive to the minimalist glass lobby of the property, you'll be impressed by the serenity of the Naxian Luxury Collection, the views to the sea and the surrounding green hills. A handful of Cycladic-type villas on two floors dressed in white come with their private or semi-private pools surrounded by nature, including protected cedar trees. Granite boulders from nearby ancient quarries lie majestically on the rolling green hills, not far from the organic garden whose fresh ingredients find their way into the daily menu. You'll also notice some intriguing yet simplistic marble sculptures that decorate the grounds, made from local Naxian marble and crafted by local artists. Don't let the imperfect lawns perplex you: they're completely natural, free of pesticides and safe for children, in line with the property's green philosophy. As you walk through the grounds, you can't help but admire the two protected cedar trees, and if you look around the property to the nearby hills you'll spot a few more of these. 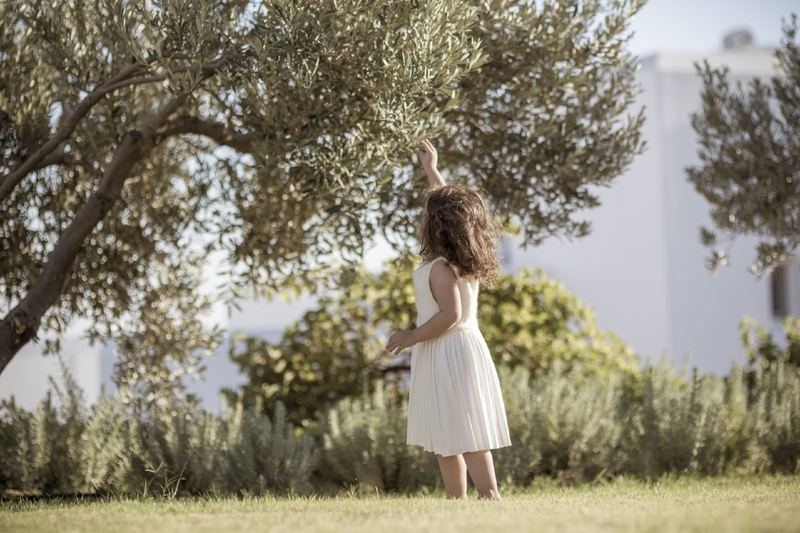 After all, this island is known as the greenest of the Cyclades!